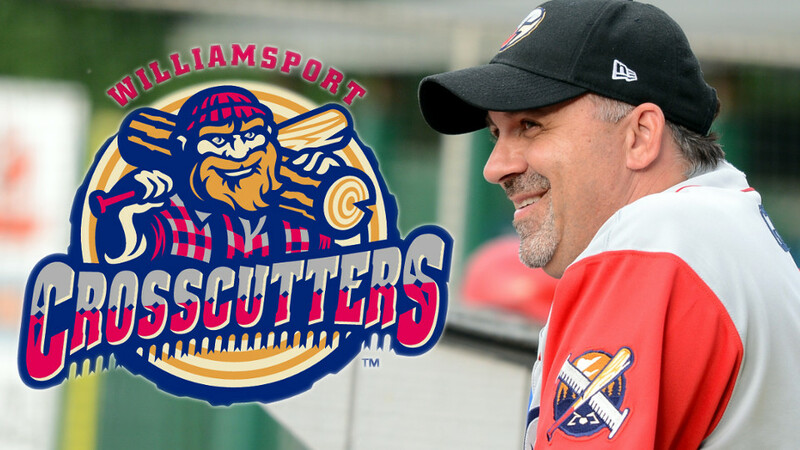 The New York-Penn League has named Williamsport Crosscutters Vice President of Marketing & Public Relations, Gabe Sinicropi, the league's Male Executive of the Year. In addition, the Williamsport Crosscutters were voted the league's nominee for Minor League Baseball's John Henry Moss Community Service Award. This award is given to a club that demonstrates an outstanding, on-going commitment to charitable service, support and leadership within their local community and within the baseball industry. The 2017 season marked Sinicropi's 25th fulltime in Minor League Baseball and 30th overall. He was also honored as the league's Male Executive of the Year in 2011. Gabe has been with the Williamsport franchise since it moved to the city prior to the 1994 season. Cutters Principal Owner Peter Freund stated, "Gabe is not only one of the hardest working people in our industry, but also one of the most influential when it comes to innovation and execution of the fan and business partner experience. From sales to marketing to promotions and everything in-between, Gabe is a force in our business and there is truly no more deserving recipient of this recognition." Sinicropi has been a featured presenter and emcee at numerous Minor League Baseball Promotional Seminars and his volunteer service has touched many local organizations. He currently serves on the Board of Directors for the Williamsport/Lycoming Chamber of Commerce, Hope Enterprises, and AAA North Penn while also serving as the Chairman of the Lycoming County Visitor's Bureau. Since 1998, he has volunteered as a Public Address Announcer for the Little League® World Series. "To be recognized by your peers is indeed a great honor", Sinicropi stated. "Our league has some of the most innovative, bright and hard-working executives in all of Minor League Baseball, each of whom are equally deserving." "There is nothing more important than an organization's ability to give back and connect within their respective communities. In Williamsport, this is our first priority and we take great pride in our ability to champion diverse outreach through our numerous service events and initiatives", Freund said. Some of the many Crosscutters on-going charitable initiatives include the Hot Stove Banquet, Cutters 5K race and the Dominican Plate Dinner, all of which raise money for various charities. The recipient of the John Henry Moss Community Service Award will be announced at the Baseball Winter Meetings this December in Orlando, Florida.